Lowongan Kerja PT Pos Logistik Indonesia - Poslog or later known as Pos Logistik is a reputable company in Indonesia that run in logistic industry. Pos Logistik offer a full range of logistic products and services, such as warehouse management, freight forwarding, project logistict, transportation, and supply chain. 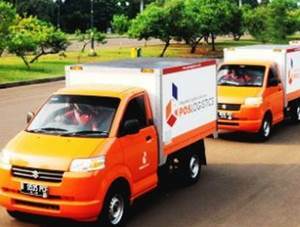 PT Pos Logistik Indonesia is a key subsidiary company of state-owned postal services, PT Pos Indonesia (Persero). Pos Logistik was first established in 2004 as a business project at PT Pos Indonesia (Persero). In 2009, the business project has developed into strategic business unit of PT Pos Indonesia (Persero). PT Pos Logistik Indonesia officially established as an independent company in 2012. Headquartered in Jakarta, Pos Logistik now has 14 regional offices and 37 warehouse units spread in all over Indonesia. The financial performance of Pos Logistik in 2013 showed a good improvement. Pos Logistik reported total total profit in 2013 amounted to Rp2.27 billion or increased 11.27% from Rp 2.01 billion in 2012. Minimum 5 years of experience in the related field, preferably Manager/Assistant Manager specializing in Human Resources or equivalent. Competent in the use of Microsoft Office, Microsoft Access.